When people start planning Disney World trips, they're often shocked at how expensive Disney World tickets are. And, with recent changes to the way Disney prices their tickets, the entire process can be downright confusing. 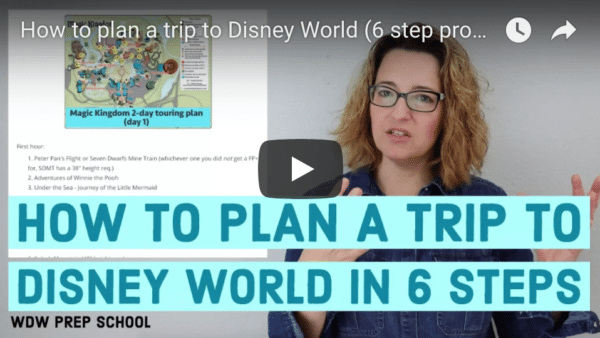 In this post, we will walk you through everything you need to know about the new date-based ticket pricing structure plus give you some tips on the best places to purchase Disney World tickets for your trip. Ticket-only purchases (includes purchases from authorized re-sellers AS SOON as re-sellers begin selling the new date-based tickets). Where should you buy Disney World tickets? Back in September of 2018 Disney announced a major overhaul of their ticket-pricing structure. A lot of the announced changes cause the entire purchasing process to look drastically different from what was done in the past. So, if you are a Disney World veteran you'll want to pay close attention to the details listed below. Old: Aside from single-day tickets, pricing only varied based upon the length of the ticket. New: You must specify the first day you plan to use your tickets and the price of your ticket will depend upon both the length of the ticket AND that initial usage date. Base prices for tickets will vary throughout the year much the same way resort prices vary (busier times of the year prices are higher, slower times of the year, prices are lower). Old: Tickets 2 days or longer in length were valid for 14 days from first use. New: How long a ticket remains valid depends on a couple different things. If you purchased your tickets outside of a package, your tickets are valid for the length indicated below. Note: if you choose to add on the Park Hopper Plus you'll notice that you get 1 additional day to use your ticket. If, however, you purchased a Disney World Vacation Package, your tickets are valid for the LONGER of either the standard valid length indicated in the list above OR the length of your stay. So, for example, if you booked a 8 day package but you have 3-Day tickets your tickets are good for 8 days (the length of your stay) not the standard 5 days (per the list above). AND, the reverse is true. If you book a 3-night package but you have 8-Day tickets, you'll have 12 days to use up all of your ticket entitlements (per the list above) not just 3 days (which is the length of your stay). Old: Allowed you to enter multiple different parks in a single day and could only be purchased for the entire length of your ticket; you couldn't add the "Park Hopper" option to just one day, for example. It was all or nothing. New: The new Park Hopper option works exactly the same way as before. Old: Granted you all the privileges of a Park Hopper BUT also granted you additional entrances into the water parks (both Blizzard Beach and Typhoon Lagoon) along with other "plus" options for things like golf. The number of additional entrances was equal to the length of your ticket (5 day Park Hopper Plus granted you 5 days in the four main parks and 5 "Plus" visits). New: The new Park Hopper Plus option works exactly the same way as before EXCEPT guests that purchase Park Hopper Plus also receive an additional day in which they have to use their tickets. This isn't an additional park day - it is just an extra day to use your ticket entitlements. Old: This was basically how all the old-style tickets worked. Aside from single-day tickets, the ticket you purchased could be used regardless of the date and tickets remained valid for 14 days after the first use. New: If you prefer tickets with that kind of flexibility, Disney will still offer them, however, they will cost extra (up to $50/ticket extra depending on the length of the ticket). Old: If you changed your mind about your tickets, in many instances you couldn't make changes until you got to Disney World. New: Changes (including changing the start date, increasing or decreasing days, adding Park Hopper, etc.) can be made from home either in the My Disney Experience app OR on the My Disney Experience website. However, it is important to note that if the change causes to the price to go UP, the guest will be prompted to pay the difference. But, if the price goes DOWN, no refunds will be given. Ouch. There are various types of Annual Passes and even with the price increases there are still times when it might make sense to upgrade your ticket to one. To help you with that, we've put together some Annual Pass charts so you can see where the break-even point might be for you. If you purchased your tickets or vacation package before the October 16 changeover, the information below still applies to your tickets. First, a quick overview of the different types of tickets and who should get each one. These are the most basic tickets that allow you to visit 1 of the 4 theme parks per day. People looking to spend the least amount possible and/or those whose daily plan only requires visiting one park per day should purchase Base tickets. Adding the Park Hopper option to tickets allows you to visit more than 1 park per day. We recommend Park Hopper tickets for the people in the categories below. People who want to use Extra Magic Hours but spend the other part of the day in a non-EMH park. Though we don't normally recommend EMHs, this is especially handy during peak travel times (like Christmas and Easter). If you're staying at an Epcot-area resort, it's convenient to have Park Hopper tickets so you can spend the first part of the day at any park and then go into Epcot in the evening. Visitors with trips of 3 days or less who want to fit in more parks than they have days. Those who want to see all nighttime entertainment but the shows aren't scheduled for every night of your trip. Park Hoppers will allow you to visit any park for the first part of the day and then hop to the park with the nighttime show when it's scheduled. Adding this option to your tickets gives you entry into the water parks, miniature golf (before 4:00), and a round of golf at Oak Trail. For every day of tickets that you buy, you get 1 entry into 1 of the extra places. For instance, if you buy 5 day Park Hopper Plus, you'll get 5 entries into the extra places that can be used at any time during your trip. People who plan to do a water park will often a good idea to get these tickets rather than buying the water park ticket separately. People with an Annual Pass get, as the name indicates, one year of entry into the 4 Disney World theme parks. Annual Passholders also get free PhotoPass downloads (basically Memory Maker is included), free onsite parking, and special discounts on resorts and food. There aren't many AP discounts available, and these tickets are usually purchased directly from Disney World. People taking multiple trips within a year will usually find that an Annual Pass is a better deal than buying two sets of Disney World tickets (though you should do the math to be sure). In addition, Offsite guests staying 7+ days should also consider having 1 person in the group get an AP. Details on that below in the pricing section. There are lots of places where you can buy tickets, including from Disney World and third-party sellers. Below are some of the best options for purchasing tickets. Note: if you purchase through one of these ticket sellers, you will be able to link them in your My Disney Experience account so you can book FastPass+ ahead of time. Some sellers provide a commission on tickets purchased through the links below. Buying directly from Disney means that you're paying full price for tickets, but it's also a required part of booking a package. If you hope to take advantage of a package promotion like Free Dining, you'll have to make a reservation for an on-site resort plus park tickets to do that. Park Savers offers prices that are hard to beat for almost all ticket types. Park Savers tickets are sent by email within 24 hours and you can then link to your My Disney Experience account. People who do not have MagicBands will need to stop by guest relations before entering the park to pick up tickets, but can still make FastPass+ reservations online beforehand. Undercover Tourist might be the most trusted name for Disney World tickets, and WDW Prep is thrilled to be one of their partners. Like Undercover Tourist, Official Ticket Center is an authorized, legitimate ticket wholesaler. They provide free shipping for tickets, have a great reputation, and fantastic prices. Many big corporations offer discounts on lots of things, including park tickets which can be purchased through Tickets at Work or Working Advantage. When searching your company intranet, try just searching for "tickets" rather than "Disney World" because the site sells discounted tickets for lots of destinations and your company may not list the specific types of tickets. Be careful when comparing these ticket prices as they show you prices before lots of fees are added. Add them to your cart and act like you're going to purchase to see what the real price would be. Disney provides tickets to military personnel at a deep discount. However, the only tickets available are 4 and 5 day tickets. There are other military tickets available. Be sure to check out Military Disney Tips ticket info for more info. Guests outside of the United States can often get great discounts by purchasing long-length tickets from Disney. AAA used to be a good source of discounts, but Disney World tickets aren't available through all chapters anymore and the prices vary between them. If you're a AAA member, see what (if any) prices are available to you (be sure to include tax and delivery fees) and compare to those to other ticket sellers in this post to see if they're a good deal for you. YES has been a Disney program that provides educational classes in the parks for kids during certain months of the year (usually January, February, June, July, August, September and October). A side benefit to participating in YES classes has been that you can purchase discounted park tickets. However, this program seems to have been discontinued. In addition to the Military Salute Tickets listed above, there are other discounted tickets available for military families. Be sure to check out Military Disney Tips ticket info for more info. Ticket sellers will often pop up at random hotels in the Orlando area or on sites like eBay. Do not purchase from those sources. When you enter a Disney theme park, your finger is scanned to verify that you are the person linked to the park ticket. If you purchase used tickets, your fingerprint won't match, you'll lose your tickets and there's a good chance you'll be questioned by a Cast Member regarding where you purchased the tickets. We checked many other ticket sources, including Maple Leaf, Orlando Fun Tickets, Visit Orlando, and Getaway Today and found that the pricing (watch the delivery fees!) and method of delivery couldn't beat the methods listed above. Every time a price increase occurs, people seem to moan as though it doesn't happen every year. In fact, you can count on an increase every February. The reason is super simple: the parks are crowded. Not only can Disney raise prices but it helps keeps the crowd levels more manageable. Check out history of all ticket increases on AllEars. What questions or other info do you have about purchasing park tickets? Sorry forgot to say those prices were for 2 adults, 1 child for the 4 day park hopper vs 5 day single park ticket. Thanks! Did some calculations on a 4 day park hopper ($1292 + $240PH = $1532) vs a 5 day single use ticket ($1345) and found the 5 day is cheaper. Could I do: day 1 – MK, day 2 – HS, day 3 EP, day 4 AK in the morning then use the 5th day’s ticket at MK? Could you feasibly go back and forth between AK and MK that day? Yes, they will still work, but watch the shipping and tax rates after you add the tickets to your cart. They often don’t end up being much of a savings after you add everything up. When I looked at the total at Working Advantage with taxes and fees it was Moore than buying from Disney direct! Does it make sense to buy tickets now, before a price increase, if I’m not sure of the number of days I’ll need? Can I add another day to a multi-day ticket after I purchase it? If so, how would that affect the overall cost? We’re staying off-site in May. If we purchase tickets through Parksavers or Undercover Tourist, will I be able to link them to the magic bands I purchased before we arrive at the parks? Yep! You will be able to link them soon after purchasing. Hi, if I purchase my WDW tickets through Park Savers, how long does it take to get the confirmation code to link the tickets to MDE? I am able to reserve my fastpasses on Tuesday morning and don’t want to be delayed waiting for tickets to be linked. Thanks! Hello, I see you are partners with Undercover Tourist. I have been researching for our Disney trip in May 2018 and looking at both of your crowd calendars, there is some conflicting info. On WDW prep, it says that MK is a high crowd day for May 23 and on Undercover tourist it says MK is a good park to visit that day. I am just wondering what I should do as I am trying to make my dining reservations. Thank you so much!! I’m partnered with them on ticket sales, but won’t comment on the content on other sites. I can tell you that we mark all Extra Magic Hours as “not recommended” since those parks tend to be the busiest, and May 23 falls into that category. If I was going to the parks for five days and got a five day base ticket and wanted one day to be park hopper, could I do it as an add-on, buy a four day base and one day park hopper or just have to buy all park hopper tickets? Hi, Molly – I just did the math using Disney World’s prices. A 4-day base ticket is $372.75 and a 1-day hopper is $172.53 (1-day tickets vary by season so the price could be higher than that, depending on your dates). That’s $545.28. A 5-day Park Hopper ticket is $452.63 (even less if you buy from a third-party ticket seller), so you’ll see that it doesn’t save you any money to just do split the tickets out. Hope that helps. Actually, we went to WDW with another family & we had Park Hoppers while they had 5 day base tickets. One day we went to AK in the morning & then hopped over to EPCOT. The family wanted to join us & the cast member at the gate simply asked for an additional $15 per ticket to hop that day. I don’t know if this is standard practice or a special offer this cast member made to accommodate the family at the time, but definitely cheaper than a 5-day hopper. The discount you get with Undercover Tourist through the WDW Prep link is no different than the discount you get by going straight to the Undercover Tourist site. Is this correct? Correct. I get a referral fee if you use the link here to purchase your tickets. I am looking for group discount tickets…..does Disney do this? I have 13 people. All are over 9 years old except for one. We are not staying in Disney and do not need hopper tickets. We need tickets for each park for one day each. Thanks! So if I buy a 4 day pass, I have to go to all 4 parks? No repeat park (maybe mk 2 days and no hs)? Or can I repeat? If you get the 4 Park Magic ticket, you can go to each park once. If you buy a 4-day base ticket, you can pick which parks you do each day (you could do the same park each day, if you wanted). Does the ability to upgrade tickets include upgrading to more days? (i.e. 3 day park hopper to 4 day park hopper)? Yep! Definitely. Just be sure to do it before you use your last day. Yeah – the thing to remember with resellers is that their price includes tax and disney prices are without tax. Also, Parksavers does offer 9 and 10 Park Hopper Plus tickets for sale – they just aren’t on their website. I contacted them a month ago and got a quote which was about 8 dollars less than the lowest price listed on the chart. Hope this helps!! The way that I calculated whether an annual pass would be beneficial was by adding up the price for the tickets for two separate trips I would be taking. Rather than looking at how much it would cost to get a ticket for the total number of days for the two trips since it would cost more to buy a 7-day ticket and then a separate 4-day ticket. I also added in the price of parking (included in annual pass benefits) and factored in the cost of the photopass photos. With the two tickets and parking, it about equalled the price of the annual pass and the photos are basically free to me. They shouldn’t be. Be sure you’re comparing apples to apples by using prices that include tax. I’ve read good things about Visitorlando.com, which had particularly good Black Friday deals on WDW tickets. Has anyone had experience with this company? If we book at an onsite Deluxe Villa Suite directly from Disney and then purchase the park hopper passes from UT, and get a dining plan directly from Disney, but then they release the percent off your room stay, would we still qualify for the percent off the room stay? (Going in May, 2017). Will wdw guest’s get a discount on some tickets if they order in advance? Thank you so much for these tips and comparison! I found very cheap tickets on OrlandoFunTickets – looks like a 40$ discount for a 5 day ticket. Is this website legit? Does anyone have experience with it? Also, if I get an e-ticket, will I be able to link it to my account and use FastPass just like a regular ticket? Wondering if we purchase tickets from a discounted vendor, can those same tickets be upgraded to an annual pass or only tickets purchased directly from the Dis? Thanks!!!! Yep! Any tickets can be upgraded. You’ll be charged the difference in price between what Disney charges for your tickets vs. the cost of the AP. They don’t know what you paid when getting them from the vendor – they just use their prices. If you upgrade a discounted ticket to annual pass, is the difference always going to be vs. current ticket prices? Or is it possible that discounted tickets from the vendors you mention would have been issued prior to price increases? Your price comparison chart is extremely helpful, thank you! I plan to purchase the Park Savers 7 day PH for $389. Does Park Savers pretty much run that price consistently year round? I prefer to wait a few months before purchasing park tickets, but I don’t want to miss the $389 price. Just wondering if in your experience, that price is consistently on their website. Thank you! Yeah, these should be the prices until Disney raises ticket prices again. Hi! My mother passed away suddenly and had 9 days of a 10 day Park Hopper, water parks and more, no expiration available. I understand tickets are non-transferable in FL. What about this case? Do we lose this ticket or is there a provision for a situation like this? Hi, just wondering about the ParkSavers tickets, I have not ordered from them before. Usually go with Undercover tourist. Has anyone used them before? Would like to know their experience. Thanks! Can you setup fastpass plus when you buy a discounted e ticket? If yes, how far in advance? Thanks! yes, same as anyone else – 30 days if offsite, 60 days if onsite. does disneyworld offer group discounts on base ticket? Are the parksavers tickets upgradable? Thanks!!!! First of all, I LOVE your website. It is Wonderful! Thank you very much. 1. you should buy 4 day tickets. The water parks plus option would then give you 4 days of water parks, either on the same days or different days. So you could have up to 8 days of things to do. However, if you want just 1 day at a water park, I think it’s cheaper to purchase it separately. 2. no, you can’t use 2 days of base tickets on the same day. Disney makes sure you buy the more expensive park hoppers. I’ve tried using the Park Savers link above, but I am not getting a discount. Adult 3-Day Base Ticket – $290, Child 3-Day Base Ticket – $270. Not the $288.88 & $268.64 you quote in your chart. I believe this issue has been resolved. Let me know if you’re still running into any problems. Have you ever bought tickets from undercover tourist.com??? Are their tickets a good deal??? I purchased from UT in 2014 and 2015. They were the cheapest I could find for 10 day park hoppers when I used their mousesavers link. You need to subscribe to receive their emails to get the special link that makes tickets even cheaper. My chart uses the UT Mousesavers pricing in the comparison. They were the cheapest for many ticket types until this year. Now it’s easy to meet or beat their pricing without even needing the link. My experience with ParkSavers.com hasn’t been the best so far. Their website says to allow up to 4 hours for processing for ticket orders and that time has come and gone. I ordered them around 8:30 am PST so it’s definitely within their business hours. It wasn’t until I sent them an email and posted to their Facebook page that I heard anything back. They claimed that the wait was due to ” high volume of orders”. Maybe it’s because I ordered on a Monday morning or maybe they’re understaffed? I guess I just don’t like being told that it will likely be 15 minutes from when I order then waiting 4 hours and still hearing nothing until I contact them and then they process it right away. So if I buy tickets through UT can I still get the dining plan if I’m staying on site? Any feedback on Working Advantage? It’s another corporate discount website. At first blush there is a 4 day adult park hopper with 3 free days for $381.57. It beats your best listed price by $10, but I’m not sure if I trust it. At first glance, I thought that Working Advantage has a great price also. Looking at the way they have the price displayed, it looks like it includes tax, when it’s actually showing the gate price with tax. When you get to the checkout, they add the tax and there’s a $10 per order service fee for e-tickets or a shipping fee, depending on which you choose. I ultimately went w/Parksavers, which had a better price then the Mousesavers newsletter link. The info on the website makes it seem a bit more confusing about getting the tickets, but they send you a confirmation number. With the confirmation number, you link it to your MagicBands on your myDisneyExperience account. There was no phone call to Disney ticket agents or ParkSavers or anything of the sort. I got an order confirmation email, followed by the actual email w/the ticket confirmation numbers. Pretty easy and I highly recommend them. I did still order my Universal tickets from Undercover Tourist, through the Mousesavers newsletter link. Just wanted to give all a heads-up. The YES program has bumped their prices approximately $100/pp for 2016. I’ve been doing a budget for our family of six and this is a pretty big deal. When I sent an email for confirmation (I had seen a few numbers that weren’t matching up), this was their response: In regards to pricing, we periodically review our product portfolio and make adjustments to better align with the company’s goals. Due to attendance levels at our parks, a new pricing structure is being rolled out thru the entire company. Overall, we did see quite an increase in our ticket pricing for 2016. We have a hotel reservation & park hoppers and we will make our fast pass selections this week but we haven’t paid our full balance yet. If we make our fast pass reservations but then cancel our park hoopers through Disney and instead buy them at AAA – are we able to apply those fast pass reservations to our AAA tickets? This is great. I’m a seasoned DW visitor, but always looking for the best discounts. Our family of 5 is going in April and we always do the dining plan. When I booked our trip on the Disney website, it would not let me book a dining plan without the park tickets. So my question is, if I update our reservation to remove park tickets (and thus the dining plan), can I buy the park tickets through Tickets at Work, connect them to MDE and then add back in the dining plan? You can add a dining plan to your reservation by calling or booking with a travel agent. Is Shades of Green the only way to get the military tix? Does anyone know how strict they are about the 6 ticket limit. Party of 7 going in February. If I book a package that includes park tickets can I upgrade to a season pass when I get there? You can purchase military discount tickets from Shades of Green. My 6 day “PREMIUM TICKET” is costing $385 and there’s no tax. It called the STARS AND STRIPES program. Once you enter your first park, your ticket must be used in consecutive days. Of course you’ll need to prove you are eligible to purchase the tickets. I am trying to determine how many days we need. If one day we are going to Mickey Not So Scary Halloween, do we need park tickets for that day? We do not plan to go until about 4pm. That day. Where is the best place to buy annual passes? My husband and I are going to doing annual passes as Christmas gift to each other. Is the best to get them straight from Disney? I have a question, i have family members that live in California. Could it be possible for them to buy the tickets for me so I can used them so I can get their discount?? anybody know? I’ve read in several places that when attempting to redeem a resident ticket you must show ID proving that you are local. So, how bad is it that we don’t have any dining reservations or Fast Passes, and we are leaving in 2 days? We don’t plan our trips years in adcance, we just bought tickets a couple of weeks ago. We have a timeshare condo in Orlando. I think it’s very, very hard to make these plans in advance, what if plans change, you aren’t in the park where your reservations are? We like to be able to feel free to just go wherever, whenever. I do remember last time having a few restaurants we couldn’t get into, but for the most part they had space. We ate at The Living Seas and a hibatchi. Now I feel a little worried because everyone makes it sound like you won’t get into anything without year long reservations. How did it go Amanda? We’re going in a few weeks with nothing planned yet. Are we good? Any advice? You are going at a non-peak season and you should be able to use MDE (My Disney Experience) to make reservations the day of and get just about anything you want;for example, if you want California Grill for dinner, would you be willing to go at 5 pm? You can save your receipt and go back up to the restaurant and watch fireworks (if they are doing fireworks that evening). If you want to go to Be Our Guest at 6pm for dinner, would you be willing to go at 4pm instead? Or go for a late lunch? We go in October and have gotten the time we want due to cancellations the day of. You may be able to walk in without a reservation for a lot of places if you are willing to go to less popular places. Good luck! You leave off one other option for discount tickets, in a roundabout way. If you purchase Disney gift cards at Target with your Redcard and get 5% off, it makes buying from Disney the cheapest option outside of YES for most passes. Also works if you have a high percentage grocery or gas rewards credit card. Love your site, thanks for geeking out with charts and numbers! Great tip that I know many people like to take advantage of. Sam’s club also sells discounted disney gift cards. I think $143 for $150. Help me understand this, please. So you buy the Disney GC’s at Target w/Red Card and get 5% off. The how do you buy your park tickets with the cards? Can you use them online on the Disney website? Or can you go to a Disney store to buy them? Are online/Disney store same prices? You can transfer balances from multiple cards onto one card at disneygiftcard.com. You can put up to $1,000 on one card and then use it to pay for your tickets, or your whole package. Makes it a lot easier than carrying a bunch of separate cards with $50-$100 on each one. Ohh, I did not know this was possible. My last two trips, I’ve been carrying around 6-10 GC’s. I will try this! Thanks for all you do to help us through Disney, Shannon!! We are planning on staying offsite our next trip, and you can buy Disney park tickets from our hotel. If we buy tickets through them we get the FL resident discount. 3 days base tickets for adults are $201.29 and kids are $187.44. Some of the other hotels we looked at did the same. I’d be nervous about that. Non-Florida residents aren’t supposed to be able to buy resident tickets and some hotels are reselling previously used tickets. Hm. Interesting. The link clicked us through straight to the disney site to buy them, with the fla resident discount code picked. I haven’t bought them yet, so now you have me rethinking this. I’m looking at the prices above for a 3 day park hopper, and it shows UT offering $332.95. However, in using my MouseSavers email link I got the other day, the price is $363.95? That’s a pretty big difference. Using the MS link, I save exactly $1 off UT’s regular price. I purchased tickets through Tickets at Work. I booked at an on site resort and added the dining plan. If free dining comes available during our stay will we be eligible? I already linked our tickets on MDE. No. Free Dining is a package deal that requires a room and tickets be purchased through Disney. Does the same go for discounts on the room rates? No, room-only discounts don’t require a package. Thanks for all the hard work you do so others can enjoy the magic of WDW. I was wondering, if I’m a Florida Resident, and purchase Disney’s Florida Resident tickets and a hotel, am I eligible to receive free dining during that promotion? What do you know about purchasing tickets from the USSSA (US Sports Authority) website? I saw them listed as a trusted source on the DIS Boards Discussion site and they have great prices so I would like to purchase but wasn’t sure if they were legitimate or not. The only difference I could see was that their tickets have a real expiration date – which is ok with me. Thank you for your amazing site and for your help with this question. I bought park tickets through enrolling my kids in the yes program. I also booked a disney resort for our stay. How do I add the dining plan? You won’t be able to. You have to book a package or stay in a DVC resort to get the dining plan. Can you tell me when you put this chart together (BTW…thanks for all the work to do this)? The price I’m getting from Official Ticket Center for 7 – Day Water Park Hopper tickets is $413 for adults and $392 for children. The Disney price is $436.55 for adult (inc. tax) and 415.35 for child (inc. tax). Your chart reflects different pricing. Just want to make sure I’m not missing something before purchasing our tickets. Just a cool bit of info that isn’t mentioned here…when using the YES tickets, even my 16, 14, and 10yr old children (who would be priced as “adults” for other tickets, get in at the “student” price which is the child’s price. (my 3 sons attending the 1-2 hour class on one day of our 8 day trip saves almost $400 because they get in a a discounted child’s price! Love this! I was on touringplans.com and they have a ticket calculator that compares the top 4-5 websites of WDW tickets. I ended up getting mine through a site called Parksavers.com. They had the lowest price and were easy to use. It sounds like there’s tons of options though which is great! Staying offsite and purchased 5 tickets for our trip in a couple weeks from OTC. All four adult tickets are RFID enabled and have a QR code that I was able to scan to link them to my MDE. The one child ticket I purchased is a plastic card (like the others), but does not have a QR code and does not say it is RFID enabled. I had to hand enter the ticket number (and scratch off the PIN) in order to link it to MDE. It successfully linked and I have been able to book FastPass Plus for all five tickets. My question is: bc it is not RFID enabled (I believe) will it still work at the entry turnstiles and FastPass Plus scanners, or am I going to have to exchange it for an RFID enabled card? Customer service at OTC says it will work, but I’m not so sure! If I do end up having to exchange, I will update you so that others considering ordering from OTC are forewarned! If it’s linked in MDE, it’ll work. The QR code doesn’t have anything to do with it being RFID-enabled. Plastic cards are usually RFID-enabled; paper tickets (which is what we used up until about 15 months ago) weren’t. Good to hear! Thank so much! Hi I am wondering if I purchase my husbands tickets through AAA (my children and I are annual pass holders) will I be able to link his ticket to My Disney Experience so we can all get fastpasses together? My worry is that I will book fastpasses for me and my girls 30 days before the trip but would have to wait until that morning at the park to schedule my husbands and we might not get the same available times. Any help would be great! Thanks. I haven’t done it myself, but I believe another method you can use is to purchase Disney gift cards at Target using their 5% discount on the Red Card, and then buying the tickets direct from Disney? Haven’t done this personally, so not sure if there are drawbacks other than having to enter a bunch of gift card numbers. Target does give the 5% off on Disney Gift Cards as of the last time I bought them. They classify them as entertainment cards so they qualify. Yep. It works for me. Love the Official Ticket Center tip! Hadn’t heard of them before. Have you by any chance researched which ticket from them is the best deal for bridging to an AP? Can you tell me the website that you gave out one time for the free printable disney coloring pages? Thanks. Quick question from a first timer: if you buy tix from an outside vendor, are they still connected to your magic band? Thanks so much for this! We’ll be able to save about $100 when we go in November. Quick question: you mentioned that you can add the tickets to your Disney Experience. 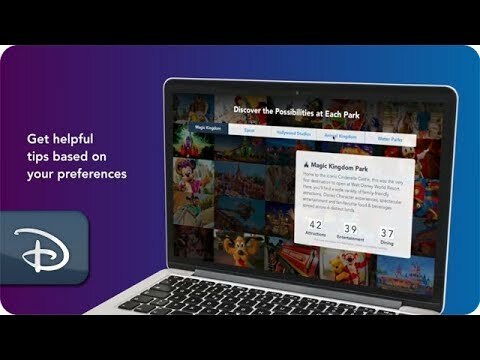 So, you can book a resort onsite through My Disney Experience, and then add the tickets? What about memory maker and the dining plan? How can you get those? If they offer a free dining promotion, would you be able to take advantage of that, or would you need to purchase tickets as well through Disney? Thanks again for all you do! For promotions that require you to have a package (like Free Dining), you must purchase tickets through Disney. 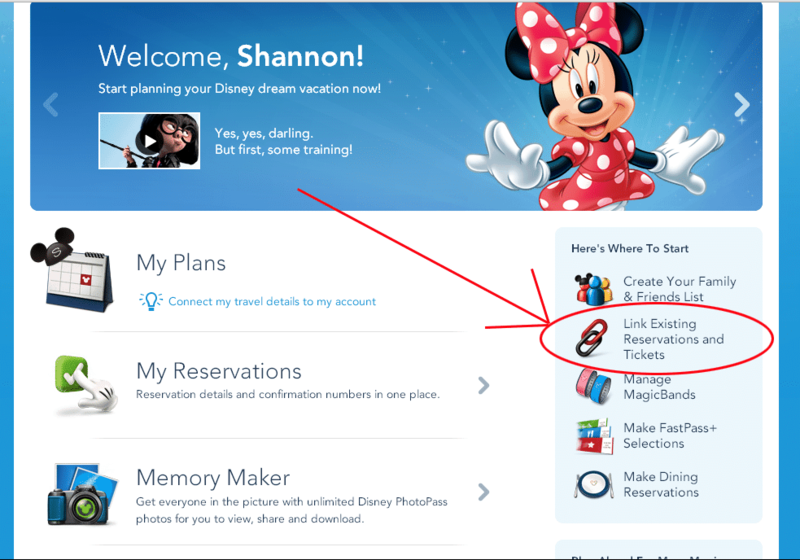 Memory Maker, tickets and resort reservations can all be linked in your My Disney Experience account though. I’ll be a first timer, and I’m wondering if you buy tix through one of these outside vendors, are they still connected to your magic band? We’ll be staying onsite. Yes, there’s a note above the chart that all of these tickets can be linked in your My Disney Experience account. Certain types of tickets can’t be linked (like ones you buy from Expedia I think) but these can. Concerning the YES program…I read somewhere the tickets can not be upgraded? What does that mean? Will we still be able to qualify for the free dining promo if offered if we buy our tickets through the YES program site? Correct. YES tickets can’t be changed once you purchase them which means you can’t buy Base Tickets and then upgrade to Park Hoppers once you’ve purchased them. For Free Dining, you must buy full-priced tickets from Disney so you can’t buy YES tickets and get Free Dining at the same time. What about memory maker? My sons would really like to do one of the classes so we would like to get our tickets this way. Before we found out about the classes, though, we were planning on purchasing the “Memory Maker” ahead of time. Would we still be able to do that? Yes, you can. Even off-site guests can use Memory Maker if they want. Are they still offering the no expiration? I am not able to find it on the Disney website? I heard they were discontinuing that a while ago. If it is still an option then I am going to buy another batch of tickets for the future before prices go up. I believe No Expiration tickets are available when you buy them at Disney World but not online. Wondering the same thing here. I’ve considered buying a 7 day no expiration and use 3 days one year, then 4 days a few years later. I was about to buy our 7 day base tickets from our usual vendor – the Mousesavers link at Undercover Tourist. I decided to take a look at officialticketcenter.com instead since you recommended their prices. However, the prices I’m seeing on their website is not what you have listed on this chart. In most cases, they are $5-6 more than what you have, some even more than that. I’ve looked at many different days and options, and haven’t found a single ticket yet from Official Ticket Center that beats Mousesavers/UT. Is there a special link we need to go through to get the prices you listed? Thanks! That works better! The original link just went to their regular page. This one seems to be a “super secret” (haha!) one since it says something about being a valued friend or affiliate. Thanks so much!